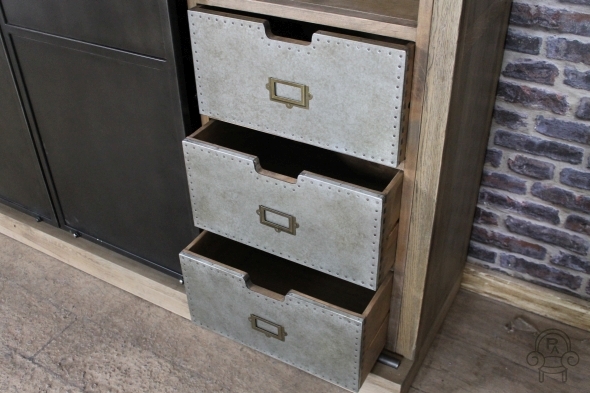 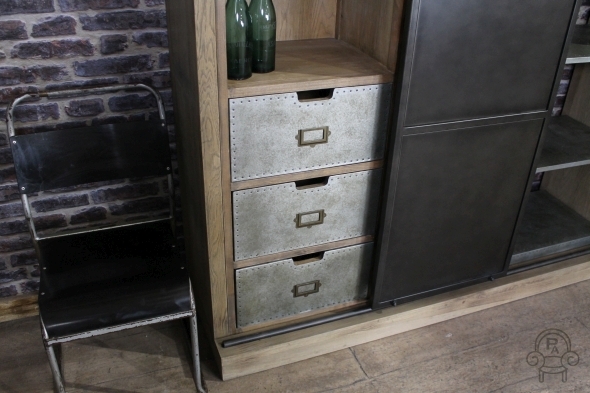 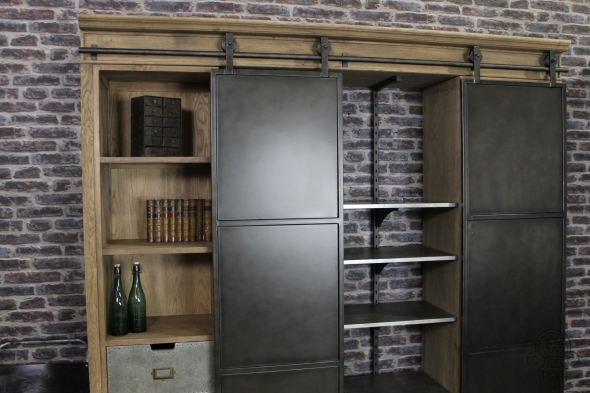 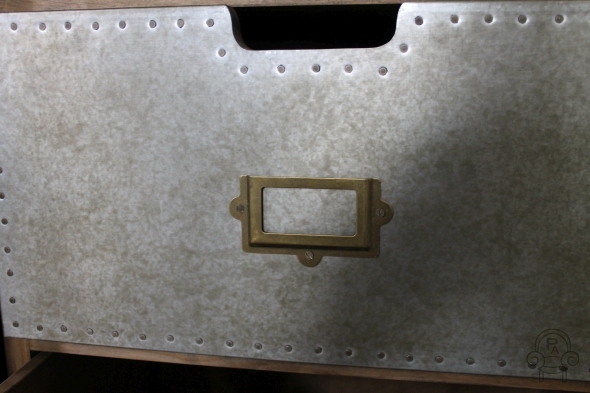 This metal haberdashery unit comes from our wide collection of industrial style furniture. This fantastic cabinet/haberdashery unit has multiple shelves and zinc wrapped drawers. 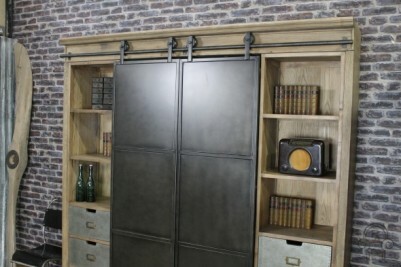 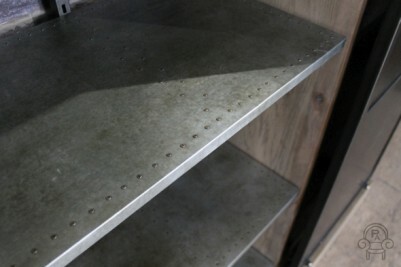 The central section features roller sliding doors that open to reveal several adjustable shelves. 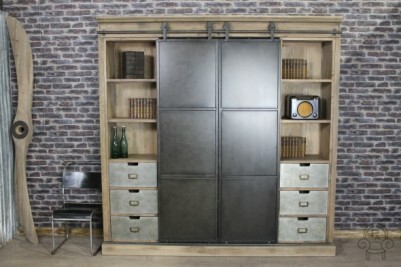 This is a unique and unusual piece of furniture. 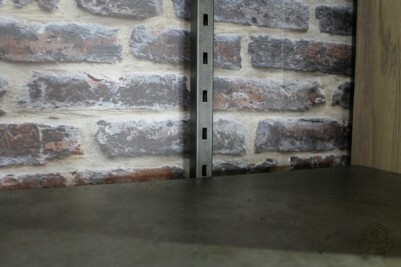 The metal haberdashery unit offers a great amount of storage and display space for any home or business. 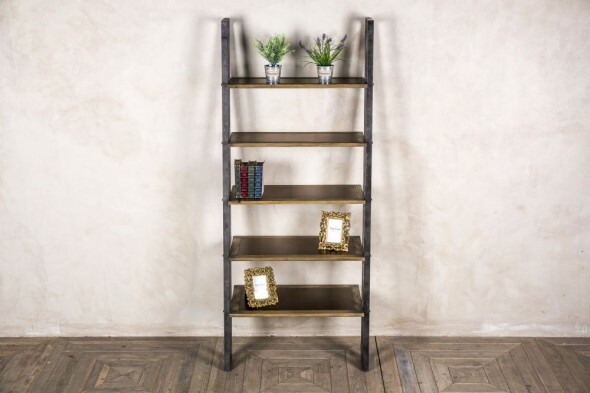 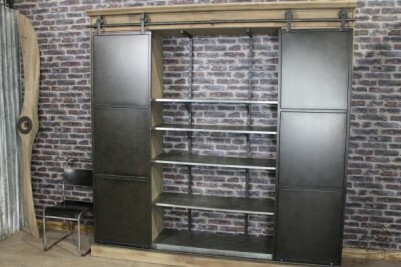 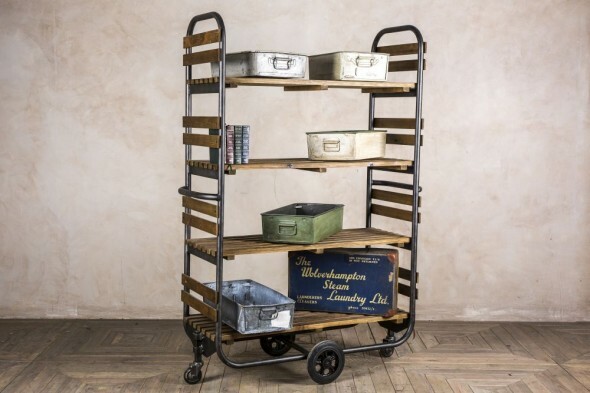 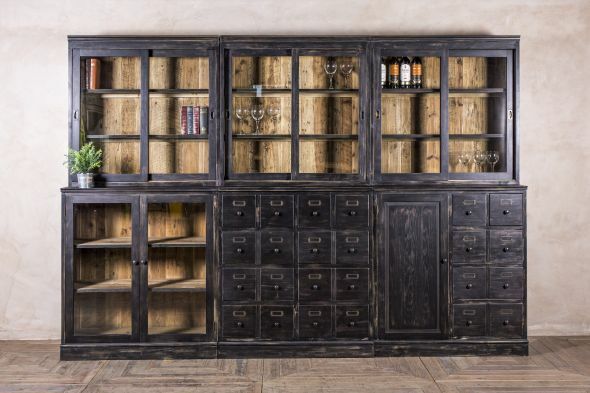 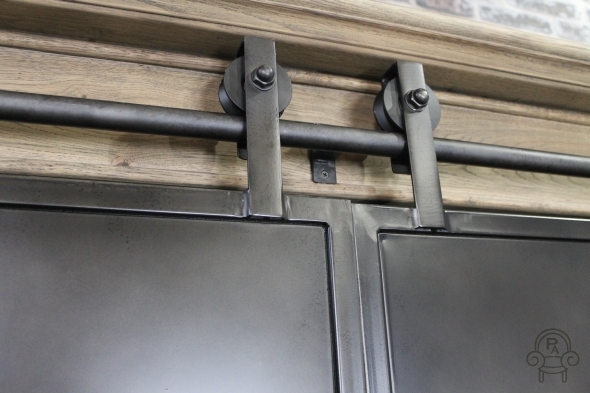 This great industrial style metal haberdashery unit breaks down into seven separate sections for ease of assembly and transportation. 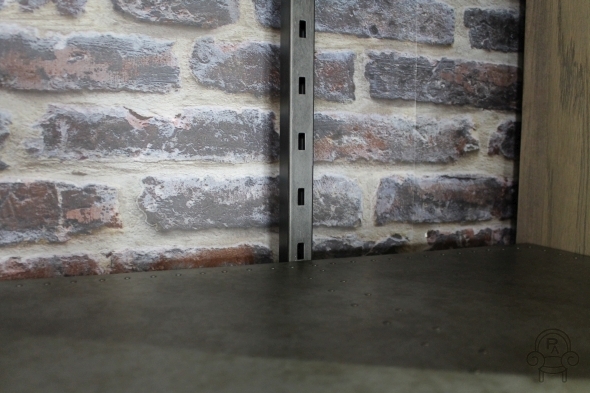 Please be aware, the central section does not have a backboard, the shelves are open. We do offer a delivery and assembly service; please contact us for a quote.